Working with someone who is indifferent is incredibly frustrating. When I looked up the synonym of compassion it was indifference. 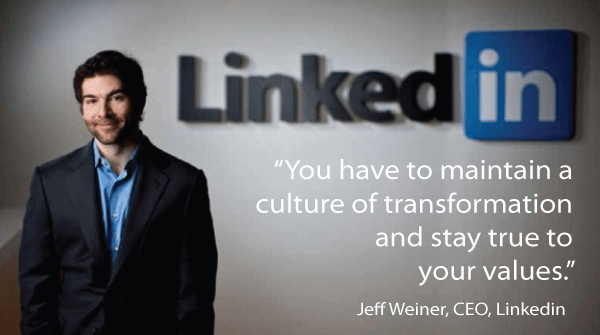 This is why Jeff Weiner, the CEO of LinkedIn was recently ranked 12th by Glassdoor as one of the top 50 most well liked CEO’s, with an astounding approval rating of 93%. He cares. He is a compassionate leader who realizes he’s not leading resources, but real human beings with minds, hearts & souls. Who wouldn’t desire that kind of positive feedback from their team? P.S. Are you looking to identify, develop, and support leaders within your organization? For more information regarding our programs for employers, call or Lee Grant, VP Corporate, at 1-877-256-2569 x 400, lee.grant@careerjoy.com.